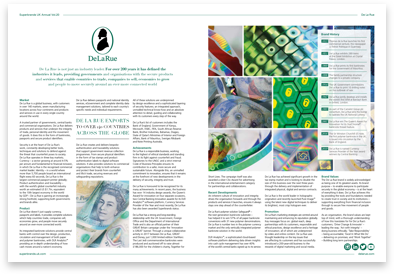 De La Rue is voted a Superbrand! Defined as having established the finest reputation in its field, a Superbrand offers customers significant emotional and tangible advantages over its competitors, which customers want and recognise. De La Rue is delighted to announce it has been voted a ‘Superbrand’ - officially named as one of the UK’s strongest business-to-business brands by a council made up of UK business professionals and branding experts. They evaluate brands against quality, reliability and distinction - as well as positioning and perception. 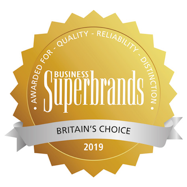 The De La Rue brand has long been recognised as one of the company’s most valuable assets - it is a huge honour to be acknowledged by Superbrands as being amongst an elite set of the strongest business brands today. Additionally, brand perception, the brand’s current profile, latest marketing activities and any new product and service developments are also taken into account, giving a holistic picture of how each brand is perceived. Other recognised Superbrands in this year’s survey include: Apple, British Airways, MasterCard, Google, Microsoft and Visa. A selection of identified Superbrands are celebrated in the Superbrands Annual. 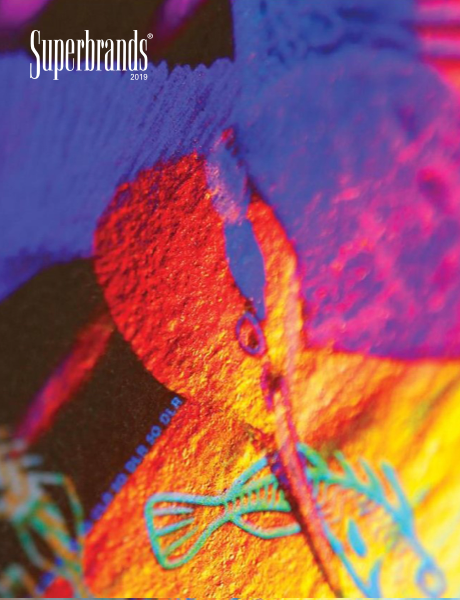 Each featured brand is allocated a double page spread that explores the history, development and achievements of the nation’s leading brands, showcasing why they are well-regarded and providing valuable insights into each brand’s strategy and proposition. The Business Superbrands survey has been tracking the perception of a wide-range of business brands in the UK since 2001. Superbrands are identified annually through an extensive and robust research process that measures the equity of thousands of brands and businesses - with all the key players in each sector nominated to be voted on. This year’s survey evaluated just under 1,600 brands across 63 categories from ‘Accountancy & Business Services’ to ‘Waste Management & Recycling.’ Only the most highly-regarded brands from each category are awarded Superbrand status.